A useful new addition to the website now shows the average pies for each category (Federal Budget and Talking Points) on the Bakery page. 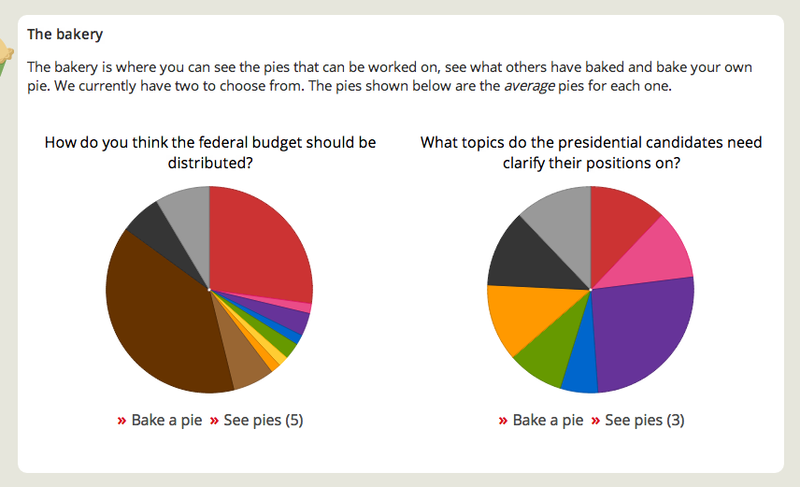 There’s also a new row of average pies at the top of each category’s Wall of Pies page, showing the average pie split by political affiliation. Other than that, quite a few minor additions, changes and tweaks have been added. The social sharing buttons and pie sorting dropbown are currently being worked on and should start working within the coming couple of days. After that, we should be in good shape to open up the website for a beta trial and then go from there!